So we've seen many pictures of Google bikes over the years but now I spotted the official and acceptable way to actually ride one of these Google bikes. 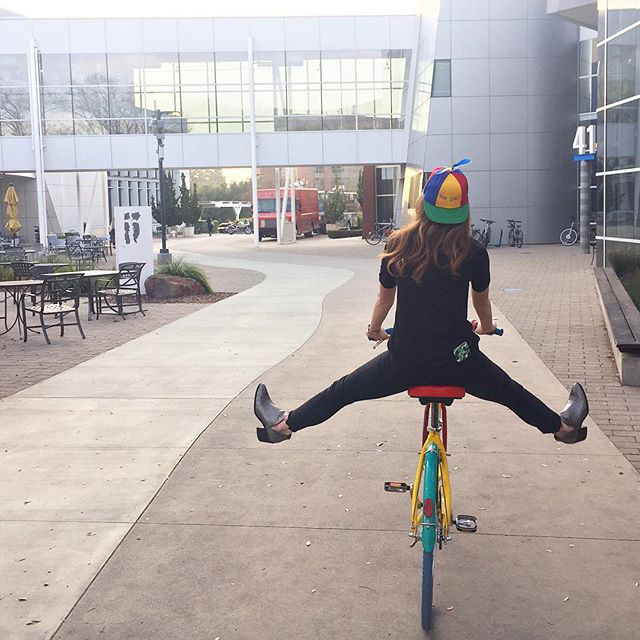 Michaela Monaghan, who I think is a Noogler, was being taught how to ride the Google bike. She shared it on Instagram.